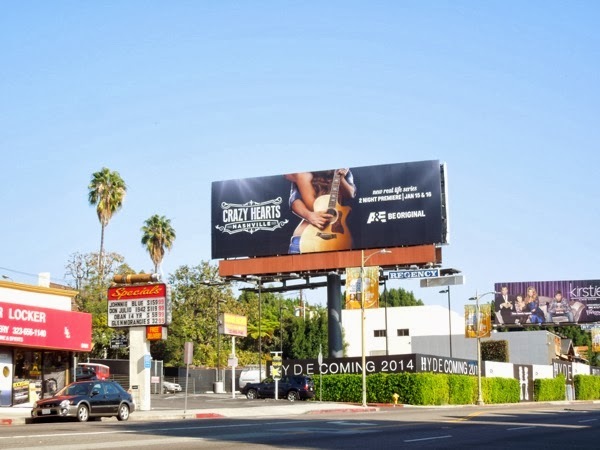 Are you ready for a closer look inside the country music world of life, love and the pursuit of stardom? 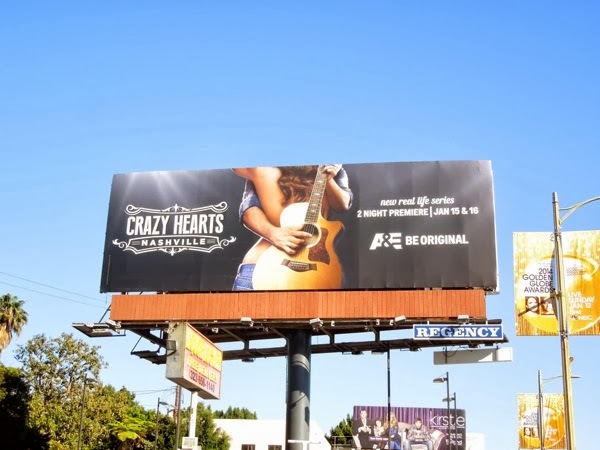 If so, it looks like A&E has the perfect show for you with their new original docu-series Crazy Hearts: Nashville. 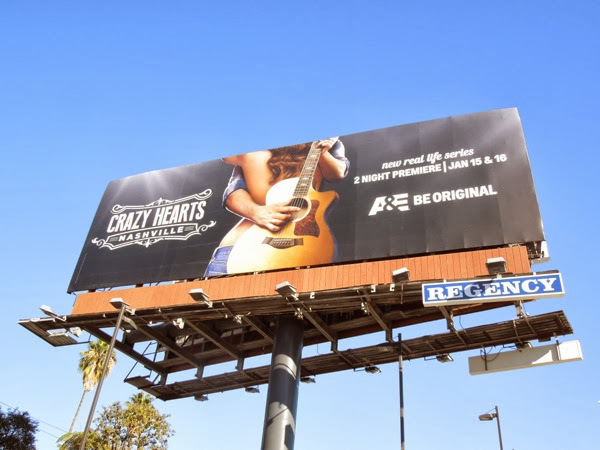 From Nashville royalty to the new up-and-coming stars of the country music scene, expect fiery relationships and rivalries, plus stiff competition amongst this diverse group of talent, as they perform one gig at a time to get closer to their dreams of fame and success. 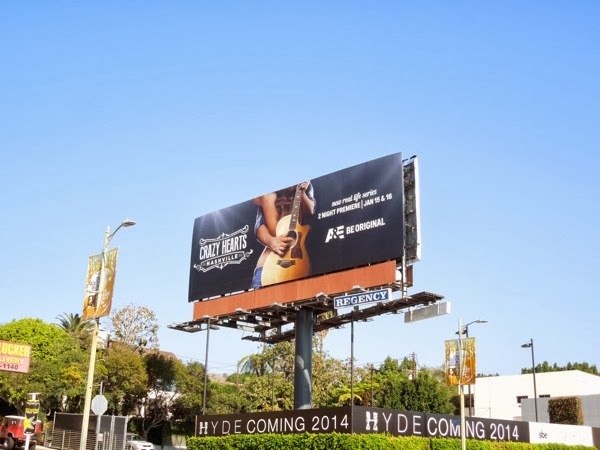 This series premiere billboard was spied along Sunset Boulevard at Selma Avenue on December 22, 2013. 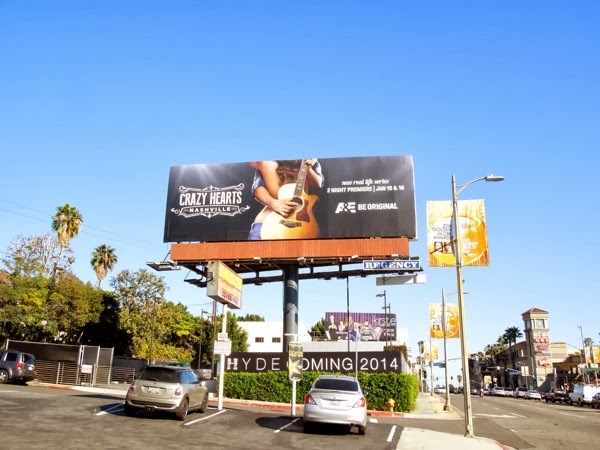 Daily Billboard likes how the guitar mirrors the contours of the woman's body in this ad, as the visual suggests both music and sexual intimacy. But which comes first, love or fame? We'll just have to watch and see.